It’s good to donate to a worthy cause no matter what. But it’s better to donate to a worthy cause…and also get the maximum tax benefit you can. Cash payment. 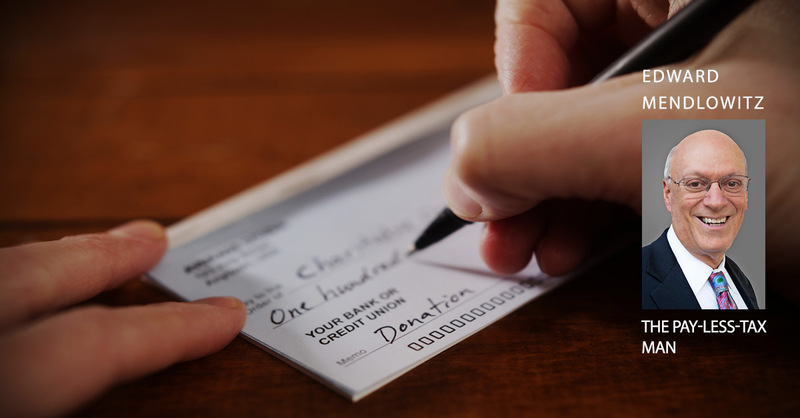 Outright cash, check or credit card payments to a qualified charity where nothing is received in return for the contribution (other than the intangible good feeling you get) are fully deductible—up to a point. Starting in 2018, deductions for cash contributions cannot exceed 60% of the donor’s adjusted gross income. There are lower limitations for other types of contributions that should be checked with a tax professional. Donations not able to be deducted in full can be carried forward for up to five years. After five years, they are lost. Stock donation. Donations of appreciated stock owned more than one year are deductible based on the stock’s fair market value, and the gain does not have to be reported. In addition to stock purchased outright, donations can be made of dividend reinvestment shares, spinoff shares, stocks in demutualized life insurance companies received for “free,” inherited stock or stock received as a gift. Donor-advised fund. Contributions to a donor-advised fund are fully deductible in the year they are made, and the fund can later make contributions to charities upon your request anytime in the future. Cash and stock as described above can be contributed to the fund. The deduction is taken when the fund receives the contribution regardless of when funds are disbursed to the charities of your choice. A donor-advised fund is an alternative to setting up a charitable foundation, which involves higher costs and annual tax filings. For people interested in setting up foundations, an appropriate advisor should be consulted. Charitable gift annuity. Taxpayers past their mid-60s who have a charitable motive and want or need a lifetime guaranteed cash flow for themselves and/or a spouse should consider a charitable gift annuity. These provide a fixed lifetime distribution and a limited current tax deduction the year the contribution is made. The payout percentage and current deduction is based on the donor’s age and current interest rates. Examples: A 70-year-old could recently get a 6.5% annual distribution for the rest of his life, a 75-year-old could get 7.1%, an 80-year-old 8% and an 85-year-old 9.5%. In exchange for the lifetime payment guarantee, there would be no refund of unexpended funds, if any, upon the death of the donor. Charitable remainder trust. A charitable remainder trust can be established where annual distributions are made to the donor and the remaining amounts are distributed to a qualified charity upon the donor’s or other stated person’s death. As with the charitable gift annuity, there will be a limited deduction when the contribution is made based on interest rates and the life expectancy of the donor. When the trust is established, the donor decides whether he/she will receive a fixed annual payout or a variable one based on the market value of the trust’s assets each year. This is a good strategy for someone who wants to sell a business and intends to invest the proceeds for annual income payments. By contributing the business, or a portion of the business, to the trust and having the trust make the sale, capital gains taxes can be greatly deferred or avoided, thereby increasing the annual income payout to the donor. Note that there are strict rules that must be followed, and the transfer to the trust must be made before there is any activity leading to the sale. Because of this, it is strongly recommended that an experienced tax adviser be consulted long before any business sale is contemplated. Charitable lead trust. With this sort of trust, an annual flow of contributions are made to one or more charities for some specified term and then, at the end of that term, remaining assets will be transferred to beneficiaries. This can be an effective way to transfer assets free of gift and estate taxes to young beneficiaries and where annual charitable contributions are desired. The income tax deduction will be based on the current value of the future cash flow to the charities, and the gift tax value to the eventual beneficiaries will be the difference between the current value of the assets and that current contribution value. With the right mix of assets and cash flow, this can be a very effective strategy. Contributions of art or collectibles. Art and collectibles and similar items can be donated, and deductions will be allowed at the fair market value on the date of the gift provided the charity retains the items and uses them in connection with its charitable activities. If an item is sold by the charity within three years, the donation will be limited to the donor’s cost or other basis. For example, a painting donated to a museum that cost the donor $2,000 but is valued at $100,000 at the time of donation will afford the donor a $100,000 tax deduction if it is retained in the museum’s collection for at least three years. However, if it is sold within three years, the deduction will be limited to $2,000 regardless of the proceeds the museum receives. All such donations of individual items valued over $5,000 must have a certified appraisal and adhere to strict compliance rules. Always consult a tax professional beforehand. Life Insurance. A donor can purchase a life insurance policy naming a charitable organization as owner and beneficiary. The annual premiums paid will be tax deductible as a charitable contribution. Large, deductible lump-sum premium payments can also be made. The charity will receive the proceeds upon the donor’s death. Donations from an IRA. People over age 70 ½ who are taking required minimum distributions from individual retirement accounts can direct their distributions to charities. Such donations are not deductible, but the IRA withdrawals are considered non-taxable. This method would particularly benefit people who do not itemize or who would otherwise get no tax benefit from their charitable payment…or those in higher federal tax brackets who will not get a full benefit for their contributions. This would also reduce adjusted gross income, possibly benefiting Medicare premium payers and people in the highest tax brackets. There is a maximum such transfer of $100,000 per year. A charity can also be designated as a beneficiary, partial beneficiary or alternate beneficiary on IRA, 401k, 403b or pension plan accounts. Amounts donated this way would not be subject to income taxes or estate taxes after the owner passes on. Remembering charities in your will. A wonderful way to support a charity is to remember it with a bequest. This can be any amount specified in a will or living trust. Instructions can also specify how the bequest is to be used. Further instructions can be made for contributions to donor advised funds, foundations or trusts. Other methods. There are other methods that can be used, and some methods can be used together—for example, you could donate both appreciated stock and part of a business to a charitable remainder trust. The 10 methods above are a brief roundup of the potential for substantial charitable deductions. As with any sophisticated tax maneuvers, it is advisable to consult with a knowledgeable professional before taking action. This is the one tax man you do want to hear from! Shrewd—legal—secrets for paying less taxes to Uncle Sam…and keeping more for yourself and your loved ones. 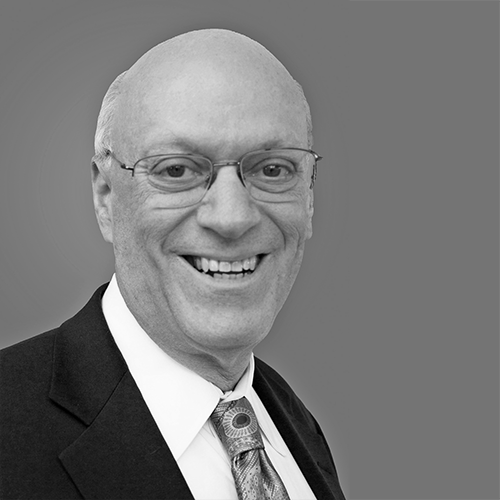 Edward Mendlowitz, CPA, ABV, PFS, is a partner at WithumSmith+Brown, PC, an audit, tax and advisory firm, and has over 40 years of public accounting experience. He is a licensed certified public accountant in the states of New Jersey and New York and is accredited by the American Institute of Certified Public Accountants (AICPA) in business valuation (ABV) and as a personal financial specialist (PFS). Ed is also admitted to practice and has tried cases before the United States Tax Court, has testified before the House Ways and Means Committee on tax reform, reduction and fairness, and was an MBA instructor for 11 years. The author of 25 books, Ed has also written hundreds of articles for business and professional journals and newsletters, including AccountingToday.com, is a frequent speaker to many professional and business groups and is on Panel of Experts of the Bottom Line Personal newsletter.